The children and staff at The Mead Community Primary School were delighted to have been given the opportunity to take part in a WW1 songs and memories event at The Clarendon Academy on Friday 21st November 2014. 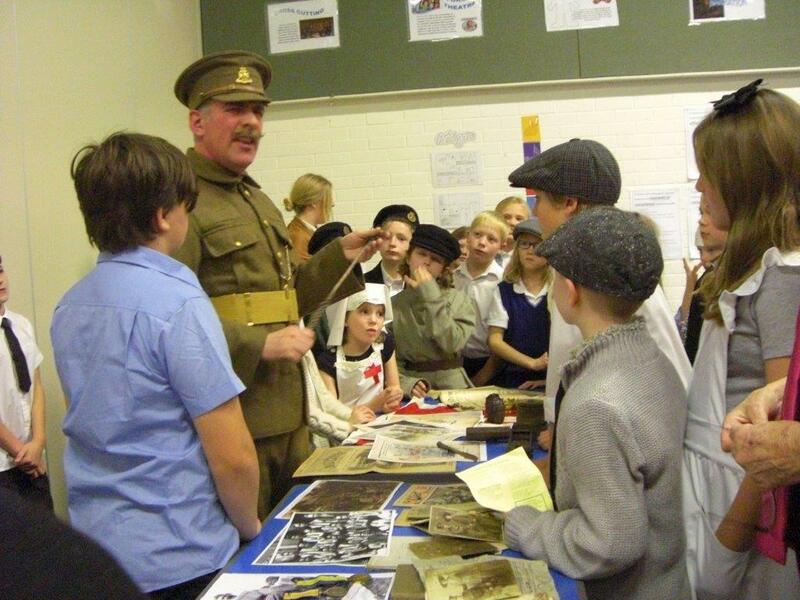 We loved taking part in this collaborative WW1 morning with students from The Clarendon Academy and members of The Devizes Good Afternoon Choir. During our visit we shared songs that we had learnt in school: ‘We Will Remember’ and ‘In Foreign Fields’. 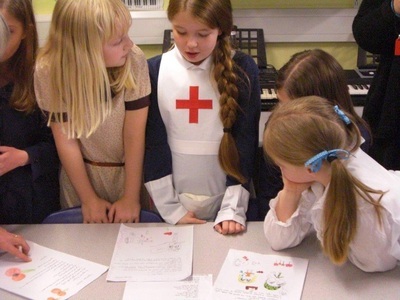 The children sang these beautifully and looked fantastic dressed in their WW1 themed costumes. We also shared the poems which we had written in our WW1 focus week at school with the Choir. 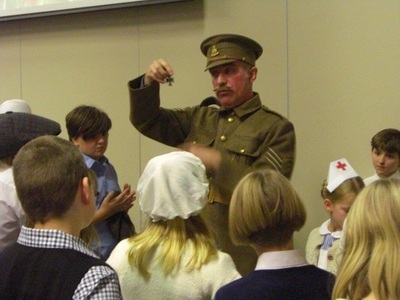 The morning ended with all the children and adults joining in with a World War 1 Medley led by Grenville Jones. The children certainly benefitted from every aspect of the event and it has enabled them to develop their awareness of the importance of the 100th Commemoration of the Great War. This was an amazing opportunity for our children to collaborate with others in their community to celebrate and remember. They were so excited to have been given such an inspirational purpose for their learning and all have such fond memories of this special event.